SCiO is a new gadget that instantly measures the molecular fingerprint of just about anything you see, and it fits in your pocket. Want to know the alcohol content of that beer you’re about to slurp down or how many grams of sugar are in your apple? This mini spectrometer will tell you. 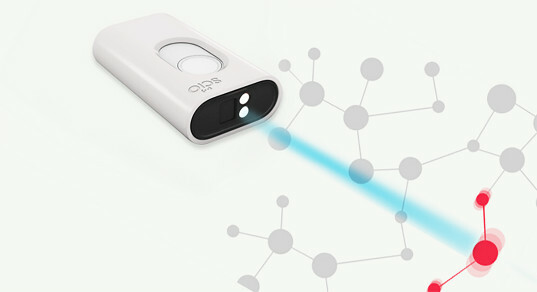 Equipped with some of the capabilities of large, heavy laboratory spectrometers, but built around the kind of optics used in cell phone cameras, the SCiO measures the light reflected off any given object, breaks down its spectrum, and then sends that information to the cloud. Consumer Physics‘ unique algorithms immediately interpret the resulting data and the results show up on your cell phone within 5 seconds on a 3G connection. Designed to empower you with knowledge of your environment, medicine, food, and a near-infinite number of things, the SCiO will also allow you to participate in building the world’s first database of matter. Spectrum. This is sent to the cloud, and special algorithms interpret information, which is delivered to your cell phone. Calorie and nutrition content, like the sugar content of an apple, is delivered within 10 seconds. In addition to non-invasively harvesting, computing and storing the data about every bit of matter recorded to contribute to the first database of its kind, the SCiO would allow consumers to be more informed about the energetic quantity and quality of everything they consume. This will make it difficult, for example, for big agricultural companies to pass off unhealthy lettuce at the grocery story. 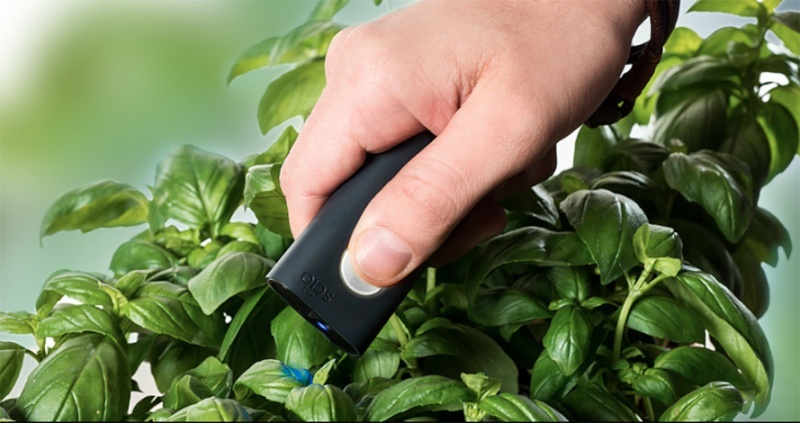 By illuminating that lettuce and breaking down its spectrum, the SCiO is able to extract a great deal of information. In other words, light, combined with cutting-edge technology, may expose everything from nefarious ingredients woven into our food, environment and medicine to the calorie content of our favorite chocolate, which we might not want to know. Computer Physics is careful to note, however, the device can’t detect the presence or absence of everything.